Bits is a totally unique, new approach to hiring TOP 10% Interns & Management Trainees from US, HK, CN, SG, MY, PH, UK, EU, FR, RU, JP, KR, IN, ID, and MV. BITS’ purpose is to match ChangeU ASIA 500 Employer Brands with TOP10% Interns-Trainees from best Universities. The top BITS Interns-Trainees have gone through a highly intensive Assessment & BITS Career Certification - based on 10 Criteria. OVERSEAS & Malaysia Placements in Hong Kong, Singapore, China, Malaysia, Maldives & Philippines. 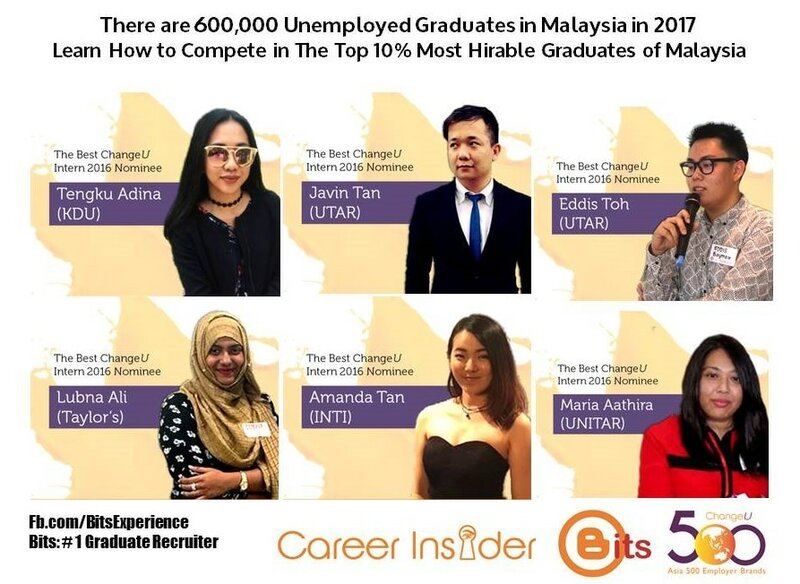 BITS recruit High Potential Interns-Trainees on behalf of ChangeU ASIA 500 Employer Brands & Fortune 500 MNCs such as Cathay Pacific, Hong Kong Jockey Club, Public Bank, Berjaya, Hong Leong, DRB-Hicom, Honda, TM, Naza, and MSC. 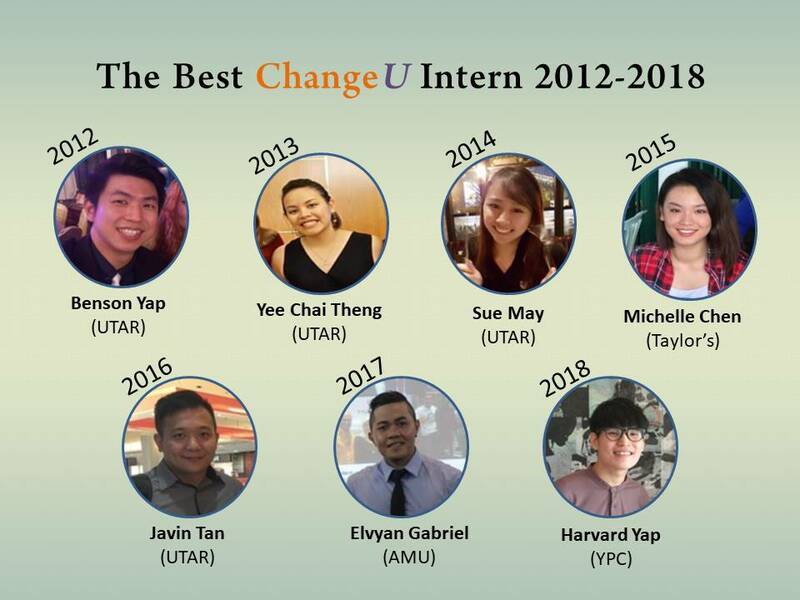 ChangeU have hired undergraduates from Monash, Taylor's, INTI, UTAR, IACT, MMU, LimKokWing, Telecom Business School (France), Curtin, Nottingham, Hertfordshire, Iowa, East London, Wollonong, Sunway, HELP, KDU, KBU, UM, Tenby, TARC, Segi, UNITAR, Metropolitan. Find out why top Interns choose ChangeU instead of the 3-5 JOB OFFERS they have. A Short Reality TV series about the Best Intern-Trainee Experience. This is Asia’s #1 Best Intern-Trainee Program – you'll learn insights that they don’t teach you at University. You will be provided a student's realistic picture of the real world. You'll learn what is the RIGHT MINDSET to attract the Best Employers, how to choose your first career, your legal rights, and how to choose wisely your personal finance and spending. 90% of ChangeU interns say that their internship was the most rewarding experience they ever had. No boring, administrative, overtime work. The Very Best Interns we hire for ourselves: ChangeU International - the most exciting & prestigious internship in Asia. You get to attend leadership courses for FREE and meet Heads of HR. ChangeU pay as high as banks - but we are very SELECTIVE. We have sent top performing interns to Hong Kong, Manila, etc. for overseas exposure. Most internship in Malaysia is boring admin-work, you don’t learn anything; or they'll work you to death but pay peanuts! Your learning and wide connection to HR Directors is worth easily ten times MORE than what you earn. HR Managers will be impressed with your resume with ChangeU Experience. It will open many career doors. We offer you FREE FOOD i.e. leadership and mental food. Attend some Top 9 workshops – for FREE (worth RM10,000). Administration tasks and updating database information. Liaising and call up clients. Representing company to deal with suppliers. Developing business strategies with top management. ChangeU internship is offered in Kuala Lumpur only. A Short Reality TV series about the Best Intern-Graduate Experience.